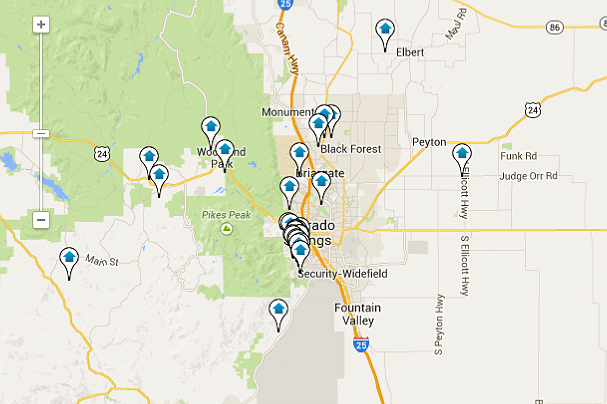 We now offer FREE Colorado Springs Neighborhood Market Reports - an automated online tool that taps into up-to-the-minute MLS data to keep you updated on your real estate investment and neighborhood real estate activity. Our Neighborhood Market Reports are updated with current Active and Under Contract listings daily, with real-time information. You will be the first to know about real estate in your neighborhood. You can also create your own individualized Neighborhood Market Report, and receive a Monthly Market Report automatically for your neighborhood of Active properties, Under Contract Properties, Average Days that homes are listed in your Neighborhood, and Average cost per Square Foot. Click on any neighborhood below to see an instant Market Report, or CREATE YOUR OWN HERE.